PUMA diversifies its 2018 SELECT lineup by partnering with up-and-coming fashion brand Outlaw Moscow (a.k.a AYTΛO). Born from the streets of Russia’s capital and founded in 2014 by designer duo Maxim Bashkaev and Dilyara Minrakhmanova, Outlaw Moscow | AYTΛO is a progressive brand that has participated in Paris and Milan fashion weeks multiple times. They won the SHOWStudio Film Award with their “Outlaw Film” and went on to create “Outlaw Film 2” with legendary photographer Nick Knight. The brand has dropped several secret parties in Moscow and established a reputation as an independent brand that stands for diversity and freedom. The debut PUMA x Outlaw Moscow | AYTΛO collection is a fusion of streetwear and high-end fashion, grime and luxury. It celebrates the festive and rich Russian culture right in the heart of Moscow, where the much-anticipated football tournament is taking place this season. Distinctive Russian design elements include minimalistic branding where the words PUMA and OUTLAW MOSCOW are spelled out in ancient Eurasian Cyrillic script, and floral prints inspired by Russian retro illustration books feature throughout. The first drop for PUMA x Outlaw Moscow includes footwear, apparel and accessories with floral prints, embroidery, bright colour blocking and unexpected material combinations. A key footwear style is the Avid Zip Graphic O. Moscow in black colourway, with an elevated mid-cut boot silhouette, woven jacquard upper featuring traditional Russian art, completed with a large rubberised zipper on the forefoot. An apparel highlight piece is the PUMA x O.MOSCOW Kimono, which continues the floral print theme, has a loose and elongated fit and is accented by the PUMA Logo and Cyrillic text that translates to “Made in Russia.” Backpack and cap accessories round up the collection, all bearing the disctinctive AYTΛO embroidery label. 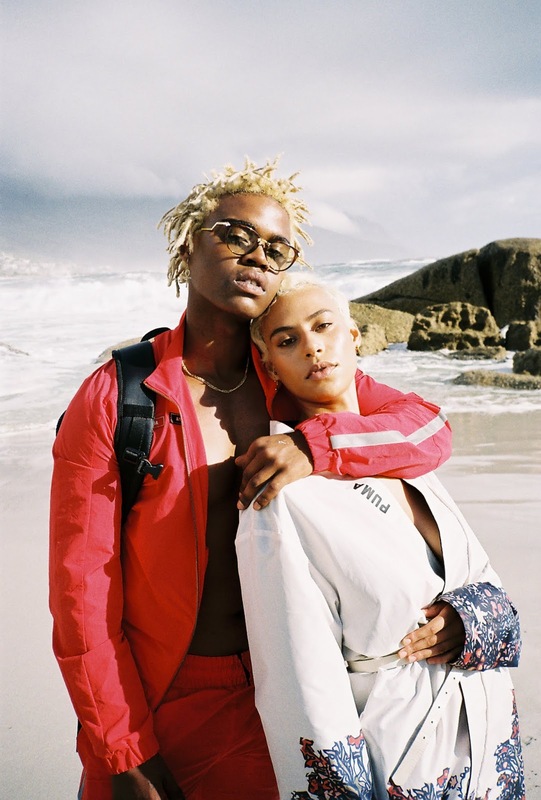 PUMA and Outlaw Moscow | AYTΛO stand together to deliver a message of diversity with a collection designed in Russia and shot in South Africa. The first drop pre-releases on 6th July on Outlaw.ru and will be available locally on 14th July at PUMA SELECT stores and selected retailers.